Offers exceptional performance at a lower price. 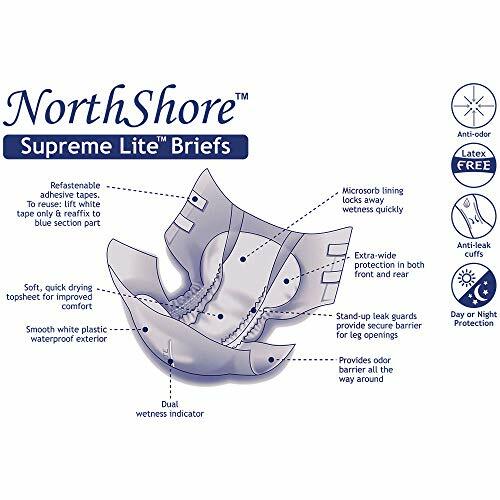 Ideal for day and night use, urinary and/or bowel incontinence, this diaper features the same extra-wide coverage and tall, stand-up leak guards as the Supreme version. Light and soft with a quiet plastic backing and absorbent polymers to lock in unwanted odors, this product is highly absorbent and Latex-free. Made in France.SIZE MEDIUM: Fits waists 28 to 44 inches with an absorbent capacity of 25 ounces. 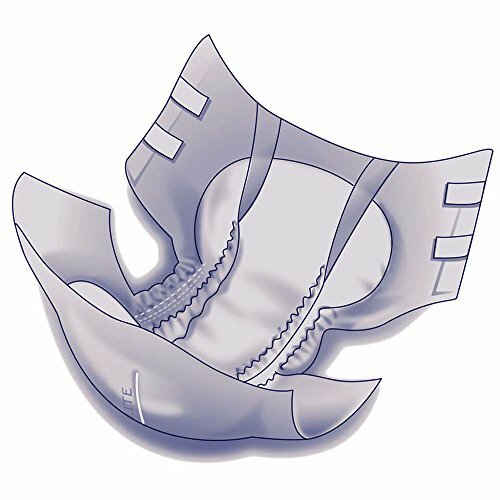 STAND-UP LEAK GUARDS: Prevents side leaks and contains bowel incontinence. WIDE COVERAGE: Extra-wide protection in the front and rear delivers confidence and security to the user. HIGHLY ABSORBENT: Absorbent polymers promote optimal dryness and comfort. PLASTIC BACKING: Establishes water-resistance and provides anti-odor protection.